I have put off writing this post for as long as possible. It makes me sad. That huge lump in my throat will not go away. So, here I sit to tell a story. A beautiful story about a wonderful woman. My Grandma. As I got a bit older I would watch her hands on our special car rides. She would pick me up when her odometer was going to change to a big number. We would honk, sing, and celebrate as the numbers changed on her dashboard. I would watch her hands on the wheel as she drove me around. I watched her hands as she would open gifts. We always teased her as she always took her time opening gifts, savoring every unwrapping step – one flap, then another, then another, etc until the box was unwrapped. She endured countless badgering on those late Christmas Eve nights when it was her turn to open. Her hands simply and gracefully open her packages. As I got even older, I would watch her hands whenever I visited. I loved when she took my hands in hers. Always comforting. Always strong. Always there. 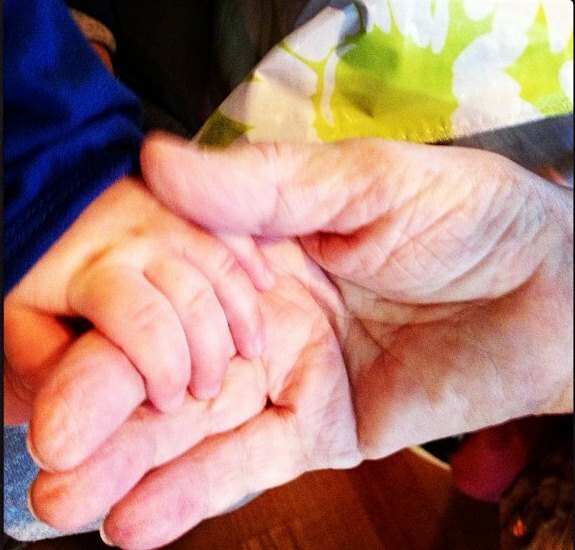 As my grandma transitions into her next chapter of her life, I am left with the warm memories of those beautiful hands. The hands that helped me as I was growing up. The hands that hugged me on my wedding day. The hands that held each one of my kids. The hands that will soon remain still. I pray that you will soon be at peace and be with Grandpa, Uncle Timmy, Uncle Matt and all of your siblings and your parents. I envision you entering Heaven with the same smile that is on little Kirby’s face here…and God is reaching out his hands to welcome you… as you were here with Kirby. I love you so very much. This is so beautiful and written with so much love. You are truly blessed to have had her in your life for so long. 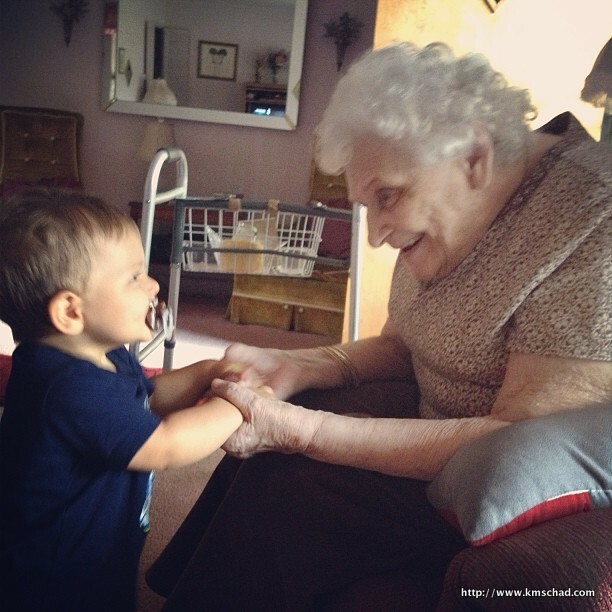 And there is something so true about our grandmothers hands – truly special! Your family is in my prayers! ← Happy Birthday to my Amazing Dad!